Getty Images is a leader in stock image sales giving their customers the ability to purchase images for use in a number of different locations such as on the web or in print. If you sell your images on Getty, you get an embed code to create previews of the images you have for sale, which link directly to where you can purchase those image, right from within your PageCloud page. To embed your getty image widget, First navigate to the getty image you'd like and Copy the embed code provided. Next, head over to your PageCloud site and paste the embed code where you'd like it to appear on your page. 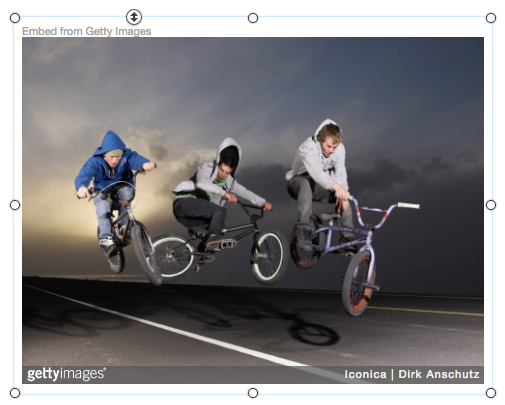 Click "Save" then click "View Live" to see your embedded getty image in action.